Best way to Use Rupee Symbol in Windows – Easy steps | Live to Learn! We are very happy to know this, within three months of selection the new Indian Rupee Symbol has been incorporated as UNICODE standard with the efforts of our Govt. of India. In a press release on 11th Oct, 2010 Unicode Consortium announced that the Indian Rupee symbol has been made part of the official Unicode standard and the same is available at code point U+20B9 in the currency Symbols block of Unicode version 6.0. Regarding the placement of Rupee Sign on the keyboard, consensus has been arrived among the stakeholders to use combination of ‘AltGr’ and numeral ‘4’ for typing the sign. There are many solutions available in the internet to use the rupee symbol in windows operating systems. Here we are going to discuss the what are the solutions available, their usage and the advantages and disadvantages. If not appearing you have to enable it (XP). Now the installed keyboard layout will appear. 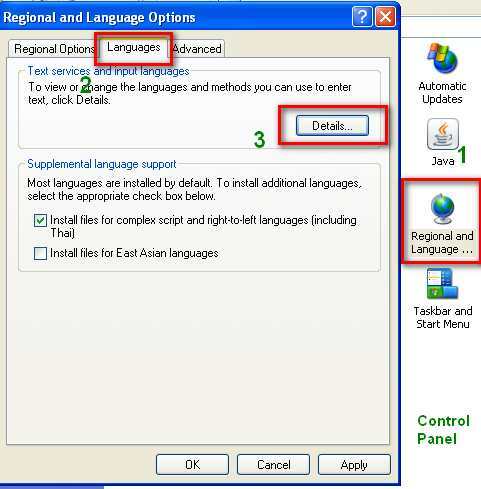 Now click Language bar, and check the option show language bar in task bar. Hence, Unicode standard we no need to distribute font along with the document. Distributed or shared document or webpage can be viewed exactly if they have the latest updated fonts in their system, else have to distribute the Rupee Foradian Standard font along with. If we want to use any other font types, we have to switch over each time. Click the ok button to add. 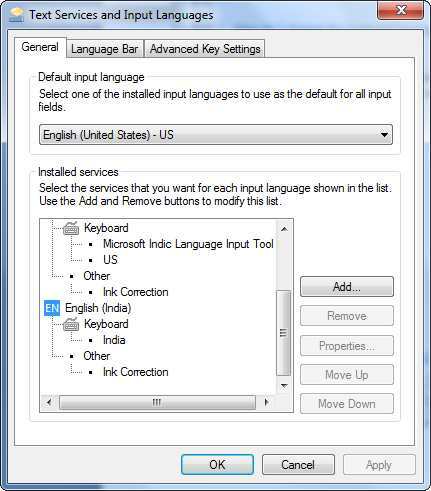 Select India (English) keyboard as a default one. Press ‘AltGr’ and numeral ‘4’ for typing the sign. Renders the Rupee symbol Unicode web pages correctly. Forth coming operating systems will include it as default. TDIL (Indian Language Technology Proliferation and Deployment Centre ) DataCenter has released a tool to type Rupees Symbol along with updated “SakalBharati” font. Sakal Bharati is a Unicode based Open Type font which includes 11 scripts in one font i.e. Assamese, Bengali, Devanagari, Gujarati, Kannada Malayalam, Oriya, Punjabi, Telugu, Tamil & Urdu. It has used Mono thick (Equal thickness of horizontal stems and vertical stem) glyphs for all scripts. 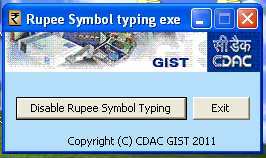 This tool enables you to type Rupees Symbol in your documents using ALT + GR + 4 combinations on QWERTY keyboard. After Installation of the tool, “SakalBharati” font gets installed on the machine. 2. Extract and run the setup to install. It will install, SakalBharati” font with a small application. 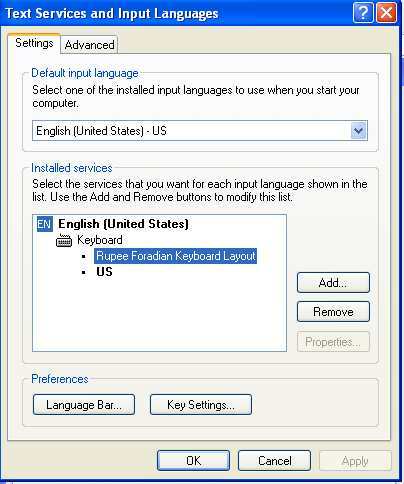 You can enable or disable rupee symbol typing through this window. Select “SakalBharati” or any other Unicode font having Rupees Symbol. Press ALT (Placed on Right hand side of the keyboard) + Accent Grave(`) + 4. How to use Unicode standard Rupee symbol in web pages? Just type the below characters in html where you need the rupee symbol. If you are viewing the below, your operating system renders the Unicode rupee symbol correctly. Useful one? If you have any doubts, comment below.